If you’re already nodding in agreement, let me explain just where a huge chunk of the Pentagon budget — hundreds of billions of dollars — really goes. Keep in mind that it’s your money we’re talking about. The answer couldn’t be more straightforward. It goes directly to private corporations and much of it is then wasted on useless overhead, fat executive salaries and startling — yet commonplace — cost overruns on weapons systems and other military hardware that, in the end, won’t even perform as promised. Too often the result is weapons that aren’t needed at prices we can’t afford. If anyone truly wanted to help the troops, loosening the corporate grip on the Pentagon budget would be an excellent place to start. The numbers are staggering. In fiscal year 2016, the Pentagon issued $304 billionin contract awards to corporations — nearly half of the department’s $600 billion-plus budget for that year. And keep in mind that not all contractors are created equal. According to the Federal Procurement Data System’s top 100 contractors report for 2016, the biggest beneficiaries by a country mile were Lockheed Martin ($36.2 billion), Boeing ($24.3 billion), Raytheon ($12.8 billion), General Dynamics ($12.7 billion) and Northrop Grumman ($10.7 billion). And remember, the Pentagon buys more than just weapons. Health care companies like Humana ($3.6 billion), United Health Group ($2.9 billion) and Health Net ($2.6 billion) cash in as well, and they’re joined by, among others, pharmaceutical companies like McKesson ($2.7 billion) and universities deeply involved in military-industrial complex research such as MIT ($1 billion) and Johns Hopkins ($902 million). The real question is. how much of this money actually promotes the defense of the country and how much is essentially a subsidy to weapons makers and other corporations more focused on their bottom lines than giving the taxpayers value for their money? Some arms-company expenditures clearly have no more of a national security rationale than Tom Price’s air travel did for the promotion of American health. Take the compensation that defense company CEOs get, for example. The heads of the top five Pentagon contractors — Lockheed Martin, Boeing, Raytheon, General Dynamics and Northrop Grumman — made a combined $96 million last year. These are companies that are significantly or, in the cases of Lockheed Martin and Northrop Grumman, almost entirely dependent on government dollars. That means one thing — your tax dollars are basically paying their exorbitant salaries. And that $96 million figure doesn’t even count the scores of other highly paid executives and board members at major weapons contractors such as these. Don’t you feel safer already? Donald Trump initially spent a fair amount of tweeting energy bragging about how he was going to bring such contractors to heel on their pricing practices for weapons systems. In fact, he’s already turned out to be good news indeed for major contractors, most of whom have seen sharp upturns in revenues and profits in the first two quarters of this year. Whether such increases in the funds flowing to major weapons contractors will accelerate yet more depends, in part, on the outcome of this year’s budget debate in which Trump and Congress are competing to see who can sponsor the biggest increase in Pentagon spending. Trump has backed a $54 billion budgetary rise, while the Senate, in the recently passed National Defense Authorization Act, backed a $90 billion increase. The only thing standing between the contractors and another huge payday is the question of whether Congress can, in fact, pass a budget this year or if its representatives will have to fall back on a continuing resolution that would keep spending at last year’s levels. Needless to say, Lockheed Martin and its cohorts are doing everything in their power to break the budget deadlock and open the spigot to release the huge funding increases they feel entitled to. In the process, they’re spending impressive sums to promote their interests in Washington. The defense industry has, for instance, anted up $65 million on Political Action Committee contributions since 2009. You probably won’t be surprised to learn that the bulk of that sum has been lavished on the congressional representatives who are in the best position to help the industry — particularly members of the armed services and defense appropriations committees of the House and Senate. In recent years, these contributions have tilted Republican, with nearly two-thirds of the contributions going to GOP candidates. But this ratio will shift back toward the Democrats, should they retake control of Congress at any point. 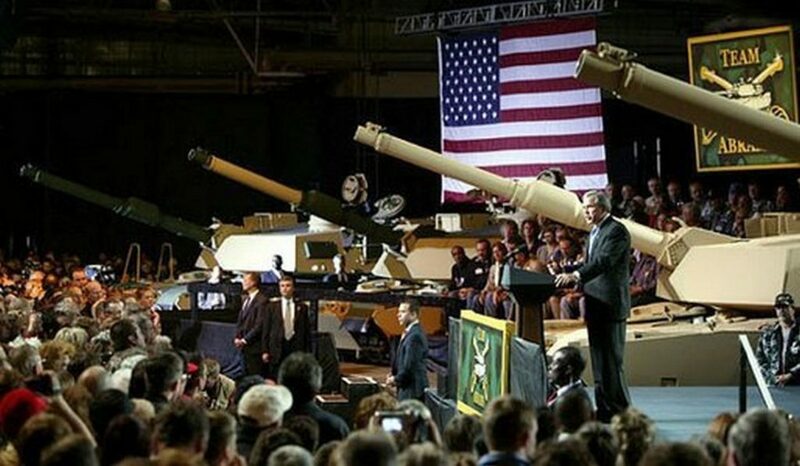 For weapons contractors, it’s ultimately not about party or ideology but about buying access and influence with whoever has the power to appropriate money for them. The arms industry’s investment in lobbying is even more impressive. The defense sector has spent a total of more than $1 billion on that productive activity since 2009, employing anywhere from 700 to 1,000 lobbyists in any given year. To put that in perspective, you’re talking about significantly more than one lobbyist per member of Congress, the majority of whom zipped through Washington’s famed “revolving door.” They moved, that is, from positions in Congress or the Pentagon to posts at weapons companies from which they could proselytize their former colleagues. This process, of course, allows newly minted lobbyists to use their privileged contacts with former government colleagues to promote the special interests of their corporate clients. It also ensures that congressional staffers, military officers, and Pentagon bureaucrats nearing the end of their careers and looking toward a lucrative future will be inclined to cut major contractors some slack. Why not, when they are looking forward to a big payday with that same cast of characters after they leave government? An egregious example — the case of Darleen Druyun — offers an inside look at how a Pentagon official curries favor with future corporate employers. Druyun was a high-ranking Pentagon procurement officer who rigged contracts for Boeing while negotiating for a job with that company, which was already employing her daughter and son-in-law. The Druyun case was the exception that proves the rule. She actually did nine months in prison for her actions, thanks in large part to Sen. John McCain’s dogged pursuit of the case. Lesser cases of influence peddling, however, occur all the time and no one faces jail time for them. As long as the lure of big corporate payoffs remains so central to the lives of government employees, the game will regularly be tilted toward their potential future employers. In other words, what we’re getting in return for the hundreds of billions of dollars we shower on those weapons firms is a raw deal and that revolving door is but one example of it. Don’t forget the endemic waste, fraud, and abuse that is part and parcel of the Pentagon budget — of that is, an outfit that has proven incapable of even auditing itself. As with influence peddling, when it comes to that trio there’s a scale that ranges from the criminal to the merely outrageous. In the first category, you might start with the “Fat Leonard” scandal, named for a corporate executive who bribed dozens of Navy officials with money, vacations and prostitutes to get the inside track on contracts to help maintain U.S. ships based in ports in the Pacific. So far, 29 criminal indictments have been handed down in the case. That one got the headlines, but the biggest sources of corporate waste when it comes to Pentagon dollars are such a part of everyday life in Washington that they go largely unnoticed. The Pentagon, for example, employs more than 600,000 private contractors. There are so many of them and they are so poorly monitored that the Pentagon — as it has reluctantly acknowledged — doesn’t even have an accurate count of how many of them it has hired. What we do know is that many are carrying out redundant tasks that could be done more cheaply by government employees. Cutting the contractor work force by 15 percent — theoretically an easy task but light years beyond anything presently imaginable — would save a quick $20 billion a year. Then there are the big weapons programs. As the Project on Government Oversight has shown, the Lockheed Martin F-35 combat aircraft — supposedly a state-of-the-art plane for the 21st century — has had so many cost and performance issues that it may never be fully ready for combat. That, however, hasn’t stopped the Pentagon from planning to spend $1.4 trillion to build and maintain more than 2,400 of these defective planes during the lifetime of the program. Even if one accepts the idea that there is a need for nuclear weapons to deter other countries, this could be accomplished with an arsenal a fraction of the size of the current one. Two analysts from U.S. war colleges have estimated that about 300 deliverable nuclear warheads would be enough to dissuade any nation from attacking the United States with a nuclear weapon. Anything else represents sheer excess, not to mention a huge source of unjustified revenue and profits for weapons contractors. In addition to “supporting the troops,” the other common argument in Washington for runaway Pentagon spending is … jobs, jobs, jobs. And there can be no question that if you plow hundreds of billions of dollars into new weapons systems, you will create some new employment opportunities. What’s surprising is how relatively few jobs actually flow these days from such Pentagon expenditures. In 2011, a study by economists from the University of Massachusetts made this blindingly clear. What they showed was that military spending is the worst way to create jobs. Putting the same money into any other area — from infrastructure to transportation to alternative energy to health care or education — creates up to twice as many jobs as military spending does. If it’s about jobs, there are plenty of alternatives to throwing vast piles of tax dollars at a wasteful Pentagon. Contractors aid and abet the process of investing in the Pentagon by routinely exaggerating the number of jobs their programs create. The F-35 is a classic example. Lockheed Martin has a handy interactive map on its website that claims the program supports 125,000 jobs in 46 states. When I took a closer look at the company’s analysis and compared it with standard economic estimating procedures, however, I found that the true number is less than half that many jobs generated. In fact, according to Lockheed’s own figures, more than half of the jobs generated by the program are in just two states, Texas and California. 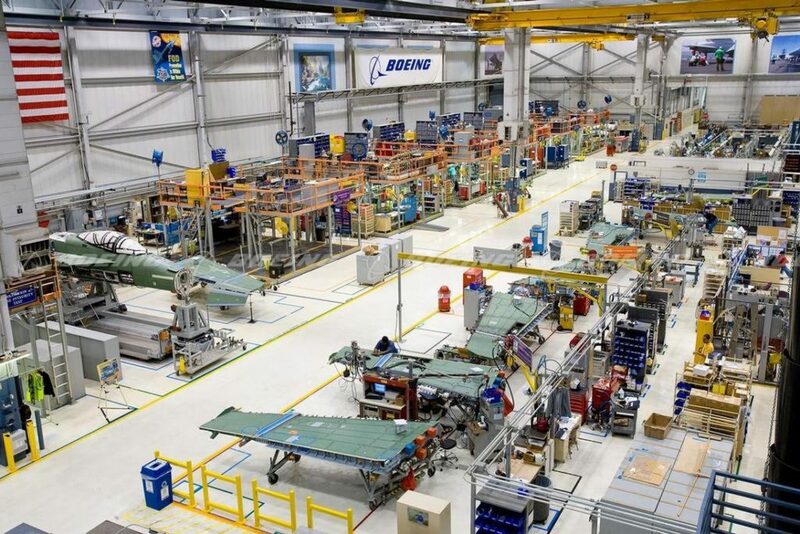 In short, the F-35 creates nothing like the number of jobs the company claims and those jobs aren’t spread as widely or evenly across the country as their propaganda suggests. In truth, the best jobs generated by Pentagon spending are the ones for well-heeled lobbyists and overpaid corporate executives. So the next time someone suggests that the Pentagon needs yet more money for the troops, just remember that what they’re actually talking about are troops of overpaid defense contractors, not members of the armed forces. William Hartung is the director of the Arms and Security Project at the Center for International Policy and the author of Prophets of War: Lockheed Martin and the Making of the Military-Industrial Complex. This story originally appeared at TomDispatch.